One News Page > Entertainment News > Mard Ko Dard Nahi Hota Movie Review: Celebrates The Flaws Of Bollywood Like Never Before! The post Mard Ko Dard Nahi Hota Movie Review: Celebrates The Flaws Of Bollywood Like Never Before! appeared first on Bollywood latest news. 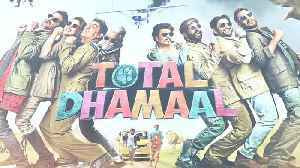 Public review of Ajay Devgn, Madhuri Dixit, Anil Kapoor starrer 'Total Dhamaal' is out. The movie released on 22 February. Moviegoers appreciated the punches in the movie and termed it as a family..